Welcome to the website of Phennards LTC. 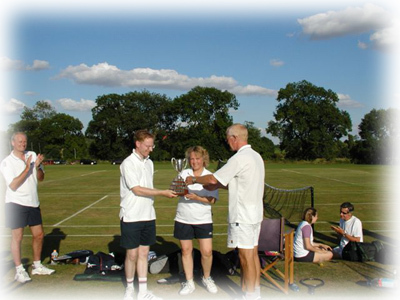 - Informal, friendly tennis to a good standard. - 6 superb, grass courts in Grantchester Meadows. - 3 all-weather, Astroturf courts when grass un-playable. - 2 club sessions each week (Tues & Fri evening). - 3 league teams for competitive tennis. - Occassional winter dates for indoor tennis. - Many social and fun events. - Club allocation of Wimbledon tickets. - Great location on Pembroke College playing fields.